Startup and tech buffs love disruption, and for good reason too. Technology has intervened, over the course of human development, to change existing business models and sometimes make them obsolete. Usually, after some initial resistance, the market follows the disruption and old businesses either [try to] adapt, like Blockbuster or close shop and move on, like Kodak Film. The US Supreme Court is about to rule on the legality of the attempt of a company named Aereo to disrupt conventional free-to-air television broadcasts. Aereo offers its users a service through which they can watch live TV online for a monthly subscription of $8-$12. The TV broadcasters, whose content Aereo offers, are upset because Aereo has not obtained licenses to rebroadcast their content and they are convinced that this is clear piracy. Their sentiment is underscored by the existing lucrative situation, where cable and satellite companies pay huge sums to TV broadcasters to retransmit/rebroadcast popular shows. This is where the impact of the disruption will be felt, should the Supreme Court rule Aereo’s business to be legal. The case turns on whether or not Aereo’s transmissions to subscribers are “public performances” or “private performances” of the TV broadcasts. If we revisit our Copyright 101 notes, we will remember that broadcasts are eligible for copyright protection and one of the implications of this is that the copyright holder has the exclusive right to control how they are transmitted/communicated to the public. What is the difference between public and private performances? Well, there isn’t a rigid distinction, but generally, private performances fall within the realm of family, home viewing, of a non-commercial nature. Anything outside that would probably be a public performance. The RS-DVR allowed subscribers to record programs for later viewing, with the recordings stored in central servers housed and maintained by Cablevision. The courts ruled that the RS-DVR transmissions were private, rather than public performances, for various reasons, including that the transmission from the RS-DVR could only be received by one subscriber. That factor, the capability of reception by a sole subscriber, is central to Aereo’s business model and legal arguments. The US Solicitor-General in fact suggested in his brief that Aereo engineered its business model around the Cablevision decision. So how does Aereo work? 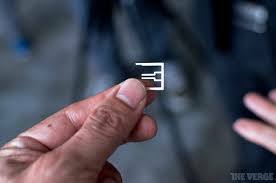 Aereo has a central hub of “thousands of dime-sized antennas that are rented to individual users.” [See more in article from Time here.] The antennas capture live free-to-air TV signals, with each antenna serving no more than one subscriber at a time, depending on what program the subscriber chooses to watch. Aereo believes that a ruling that its business is piracy would have serious implications for cloud computing and would throw the Cablevision precedent out of the window. 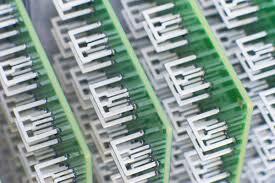 The District and appeal courts have agreed with Aereo so far. However, one of the judges at the Court of Appeals dissented. According to the judge, Judge Denny Chin, in his dissenting opinion, [full judgement available here) Aereo’s technology platform is “a sham”. He says the system has been “over-engineered in an attempt to avoid the reach of the Copyright Act and take advantage of a perceived loophole in the law.” To my mind, he provides a great example of how the system is a sham. In spite of Aereo’s seemingly innocuous position that it provides users with a technology platform to make and access unique private recordings, Aereo’s antennas broadcast the Superbowl live (and simultaneously) to 50,000 users. It would indeed be curious for this not to be held to be public broadcasting. The Judge goes further to distinguish Aereo’s case from Cablevision, with the key point that Cablevision involved a company that already paid license fees, while Aereo pays none. The subscribers in Cablevision already had the ability to view the recorded transmissions; Aereo’s do not. Aereo is functionally a cable company, doing what cable companies typically do, except for its attempt to avoid getting licenses to rebroadcast programming. 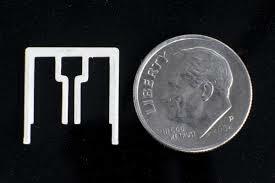 However, many legal scholars support Aereo, according to the previously referenced TIME piece. One such scholar is quoted as saying “Aereo simply provides an antennas for viewers to privately transmit free over-the-air broadcast television signals. It does nothing more than make it easier for viewers to access already free broadcast service.” But, I would counter, this (i.e. that the broadcasts are free-to-air) is irrelevant to the underlying intellectual property rights and what non-copyright holders have the power to do. I am not an American qualified lawyer but I believe that Aereo’s business should be held illegal. It is clear that their thousands of dime-sized antennas, rather than a single large receiver, is a less-efficient way to structure the business. And, while taking advantages of loopholes in laws is legal and loopholes are in fact the bread and butter of many wealthy lawyers around the world, I agree with Judge Chin that there are enough differences between Aereo and Cablevision to hold that Cablevision does not apply here.